In my last post, When I talked about my aunt, I forgot to mention her signature recipe. She is very good at preparing sweet appam using wheat flour and banana. If I visit her house, It is a must recipe even now and she sends it with me without fail while I return to my home or either way. I usually enjoy it on the next day after preparing it. Couple of weeks ago, I went to my native for a temple visit. I was telling my mom that my aunt prepares a wonderful sweet appam and I love to have it now. She instead prepared her version using raw rice and surprised me. It was very delicious for the obvious reason of the secret ingredient 'love'. ;-) My mom also sent me one more traditional sweet with me on my way back to chennai. I will prepare and post that recipe too when time permits. Till that, enjoy these appams. 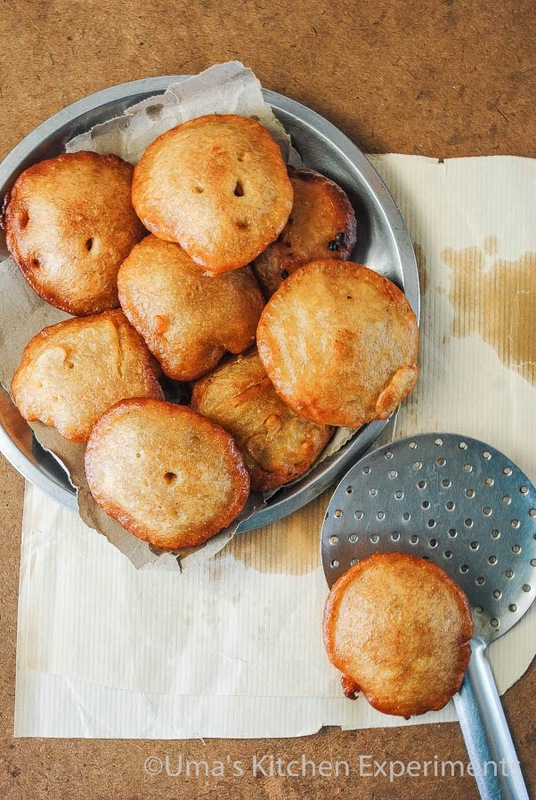 Appam is nothing a deep fried sweet that would be prepared using either by rice or wheat flour. Pureed banana or jack fruit can be added to the basic recipe for variation. Wheat flour is generally considered as a instant one whereas rice appam takes couple of hours to prepare it. 1) Wash and soak raw rice, idly rice and fenu greek separately for 1-2 hours. 2) After 2 hours, drain the water completely and grind it using a mixie. Add little water if required. 3) Add grated coconut and green cardamom. Give a pulse just to mix it and then add grated jaggery. 4) Grind it to a smooth paste.Add salt if using and mix well. 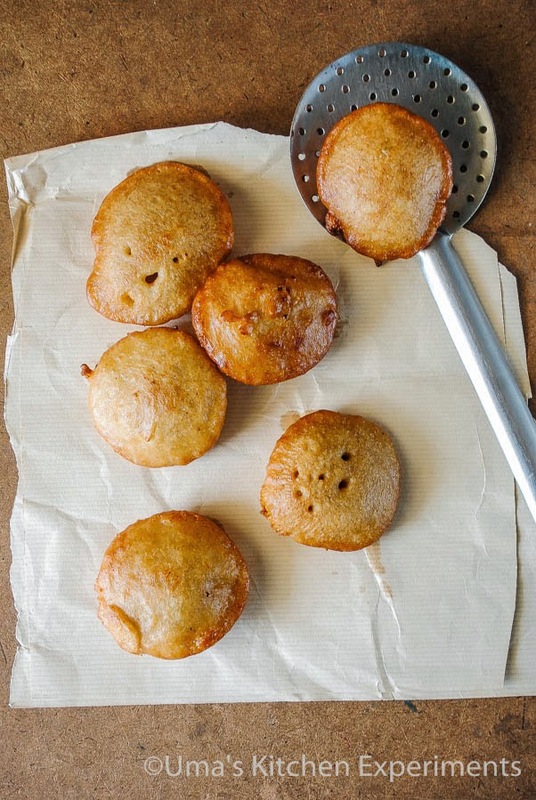 The consistency of batter should be like idly batter. So, you can add the water accordingly. 5) Heat oil in a deep, thick bottomed kadai/pan. 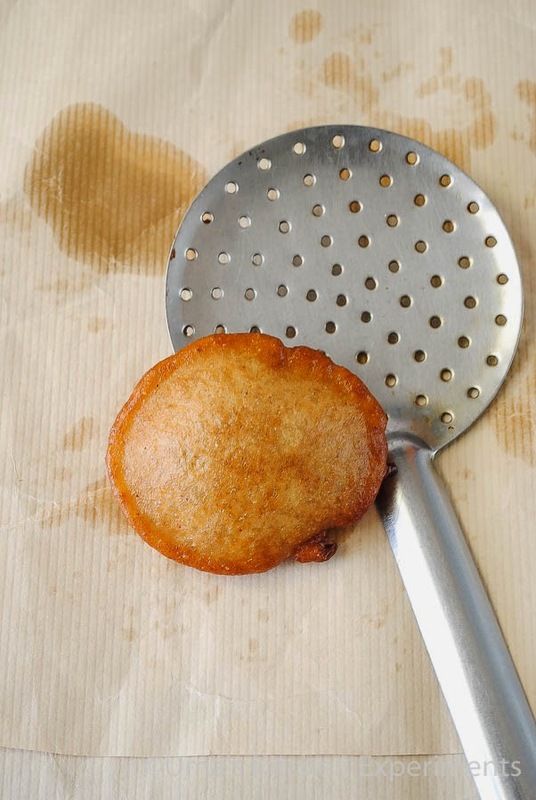 When it is hot and not smoking, add 1/4 teaspoon of batter and it should come to the surface of oil slowly. 6) When the oil is ready, pour slightly less than 1/4 cup of batter using a ladle to the oil. 7) It puffs up slowly and come to the surface of oil. Turn it to other side and cook it till both the sides are golden brown. 8) Once done, transfer it to a plate covered with kitchen paper which absorbs the excess oil if any. 9) Serve when it is warm. 1) Instead of Idly rice, you can also use IR20 rice. Do not over soak it. Maximum 2 hours is fine. 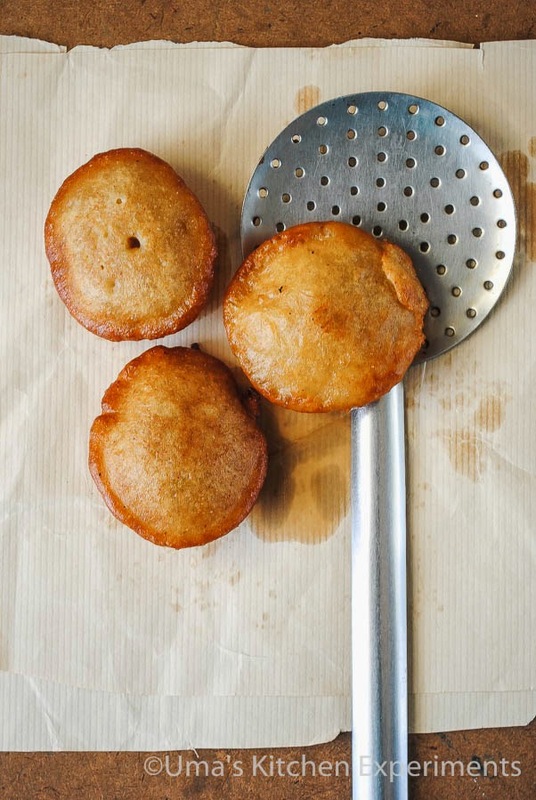 2) For best puffed appams, deep fry one appam at a time. At max, you can fry two appams and not more than that. 3) Adjust the Jaggery as per your personal preference. Use pure jaggery as we add it directly to the batter. 4) Make sure the batter is in right consistency. It tends to absorb more oil if the consistency is thin or otherwise it becomes too hard. 5) Appams tasted very good when consumed on next day after preparing it. It has 3 days of shelf life when stored properly. Uma what is IR20 rice in the notes? Delicious and lovely looking arsi appam. @Siri, it is one of the rice varieties available in Tamilnadu.